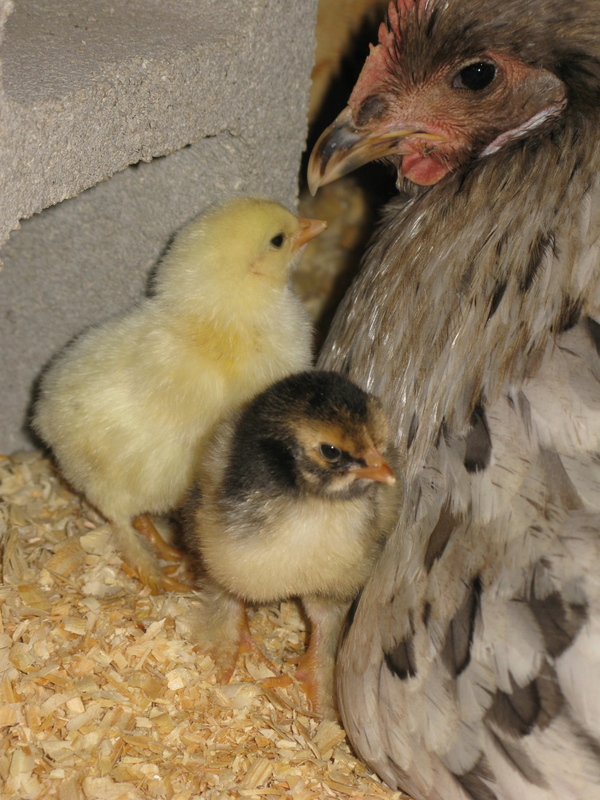 The chicks are a week old today, so it’s a good time for an update. Cutest picture ever. I told my daughter she should enter this in the TCYS contest next year. 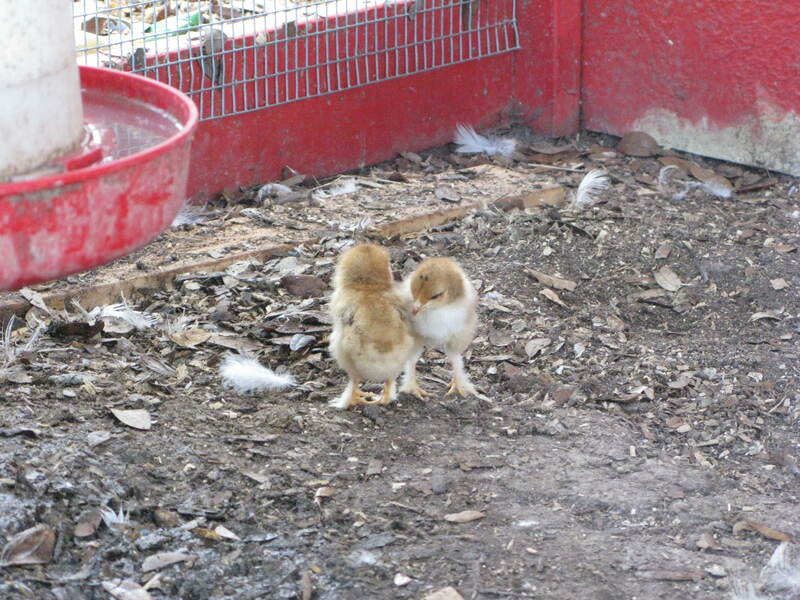 The chicks now go out with their mommas every day foraging. We were worried at first, but the mommas are so protective. One of them actually attacked one of the ducks that got too close to her chicks yesterday. They can’t get back up the ramp, so we help the chicks back into the coop at night. 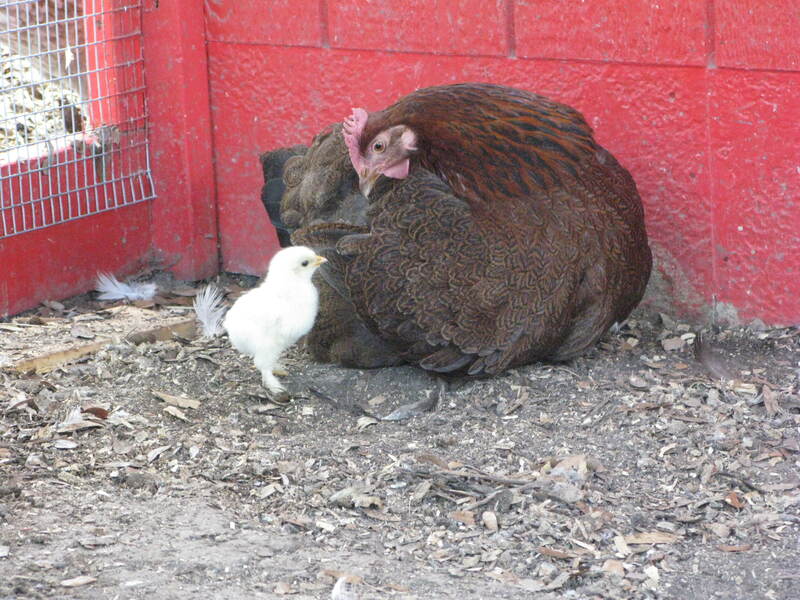 Originally Fancy had 3 chicks and Priscilla had 2, but maybe Fancy realized that 3 were just too many to handle. 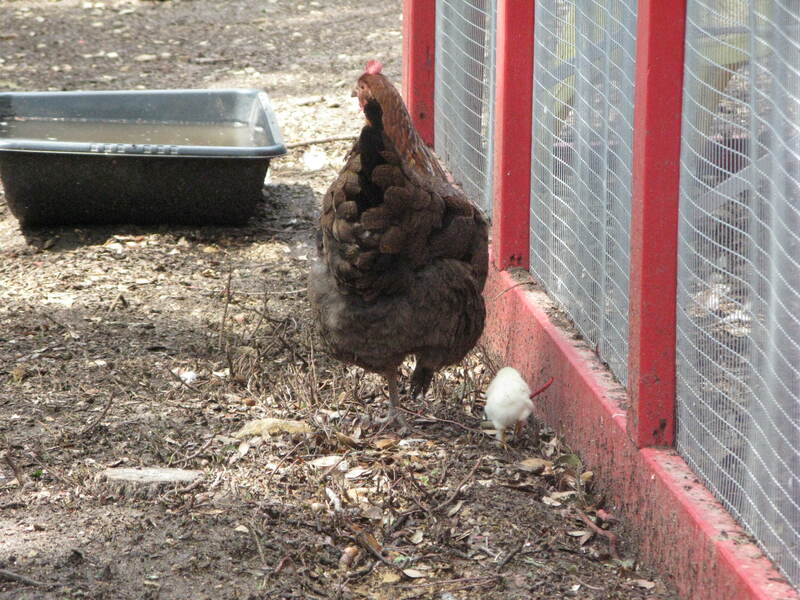 She gave one of the chicks to Priscilla. The chick she gave away also looked very similar to Priscilla’s chick, so maybe it was easier than trying to figure out whose was whose. 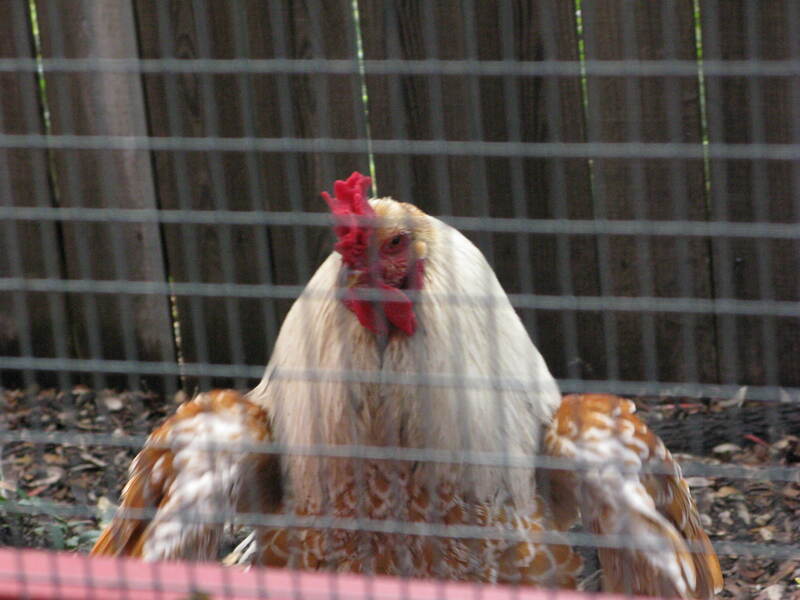 I added in this photo, just because I have no idea how my daughter managed to get our rooster to look like a lobster. Many of the photos were taken by my daughter, Aspen. Chicks are such fun! That picture is adorable! I thought you had a lot more chicks. What happened to the others? The “30 chicks” were all Seramas. We were keeping those inside. We finally sold them all. We are down to just 5 full size chicks, and the 4 ducklings.